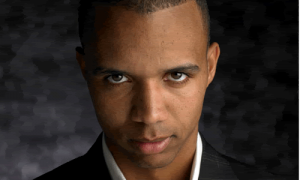 Professional gambler Phil Ivey’s appeal of a 2014 judgment against him and in favor of London’s Crockfords Casino has been denied by a three-judge Court of Appeal of England and Wales panel. The three judges agreed unanimously to uphold the 2014 High Court ruling in Crockfords’ favor, denying Ivey a £7.7 million (now worth about $9.6 million) punto banco “win” at Crockfords’ high-stakes tables in 2012 that Crockfords refused to pay. The latest legal loss for Ivey and his controversial “edge sorting” advantage-play scheme comes less than two weeks after a New Jersey judge issued a split decision that leaves Ivey and co-defendant Cheung Yin Sun liable for $9.626 million in ill-won proceeds in a highly similar case, involving Atlantic City’s Borgata Hotel Casino & Spa. Sun was also Ivey’s counterpart in the Crockfords scheme, though she was not an official party in Ivey’s lawsuit against Crockfords. In a decision written primarily by the Right Honourable Lady Justice Arden, with supplements from the panel’s other two judges, the court found that even though Ivey did not believe that he was being dishonest, he nonetheless cheated under United Kingdom gambling laws. Both Ivey and Sun willingly acknowledged using the edge-sorting scheme at Crockfords’ punto banco (mini-baccarat) tables, a form of baccarat in which the players themselves do not physically touch the cards. Nonetheless, the courts on both sides of the Atlantic have now reached essentially the same conclusion: The complex scheme employed by Ivey and Sun changed the odds of the game in a way that violated the very legal rules under which the game was offered. Ivey still retains the right to appeal this decision to the United Kingdom’s Supreme Court. Even if he does, though, as with the US Supreme Court, it is unlikely in percentage terms that the court would accept the appeal. One factor weighing heavily against a further appeal: The opinion penned primarily by Judge Arden rides heavily on existing rulings and case law. Again, that appears to be a selective interpretation. Wrote Lady Justice Arden, “My conclusion: there may be cheating without dishonesty.” While the judges differed on which of Crockfords’ legal arguments was most correct and most convincing, a majority of the judges (including High Court justice John Mitting, who rendered the initial ruling), agreed that Ivey’s actions constituted “cheating” under English law.